Enjoy reading my weekly personalized commentaries beginning in mid-September 2018, inspired by a series of weekly columns written during my senior year of college at Notre Dame (1968 - 1969) as published in my hometown newspaper, the Kokomo (Ind.) Tribune. 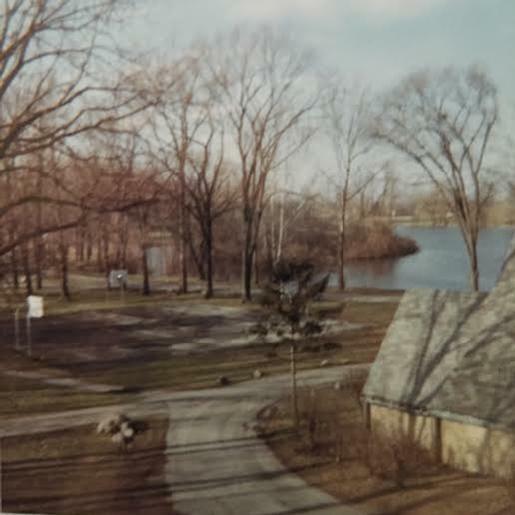 Each column composed during my senior year of college was written in my campus dorm room in Lyons Hall with a window view as shown below looking out onto St. Mary's Lake. Visit each week my personal Facebook page (Patrick K. Rocchio) for Notes From The College Scene Revisited.